Page 2 will bring a rough draft at the next Network meeting which is in October. B. The Black Heritage Committee is interested in being involved with a conference such as this. V!. Other A. Next meeting will be October 12 in Davenport, Iowa. Tom Kelly, Billie Lloyd and Carol Simmons will be the hosts. B. Network to plan to have a state official at each of our regular meetings. 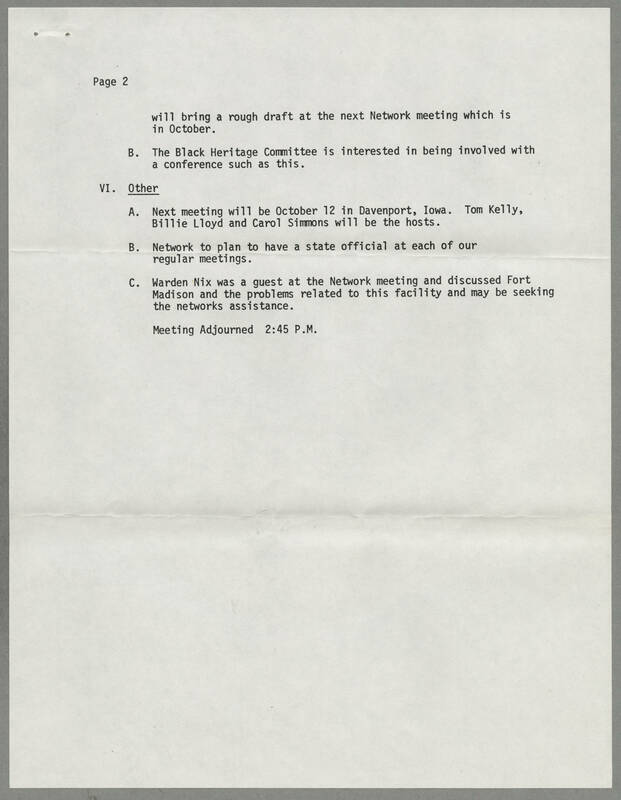 C. Warden Nix was a guest at the Network meeting and discussed Fort Madison and the problems related to this facility and may be seeking the networks assistance. Meeting adjourned 2:45 P.M.